Inspiration for a contemporary bedroom in Sydney with pink walls, medium hardwood floors and brown floor. This is an example of a traditional toddler room for girls in Perth with pink walls, carpet and black floor. 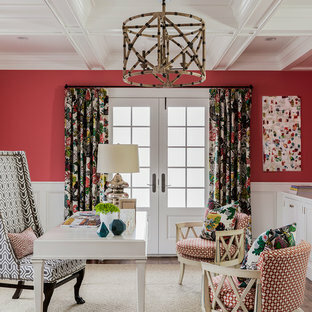 Inspiration for a small eclectic sunroom in Brisbane with painted wood floors and a standard ceiling. 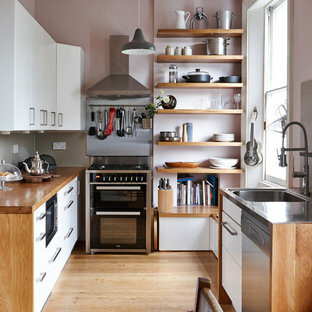 Inspiration for a country teen room for girls in Chicago with pink walls, carpet and white floor. Contemporary home office in Minneapolis with grey walls. Design ideas for a large mediterranean teen room for girls in Houston with pink walls, light hardwood floors and beige floor. 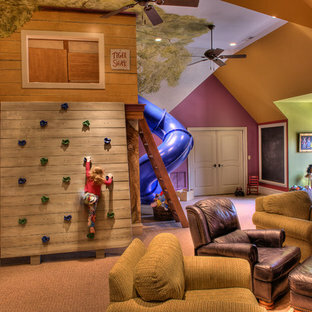 Large room for the kids with climbing wall, super slide, TV, chalk boards, rocking horse, etc. Great room for the kids to play in! Inspiration for a large eclectic gender-neutral kids' room for kids 4-10 years old in Other with multi-coloured walls, carpet and beige floor. 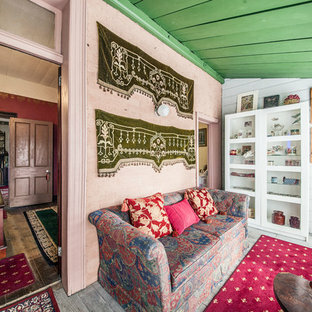 Transitional living room in Other with pink walls. Photo of a transitional master bedroom in Surrey with pink walls. Cherie Cordellos ( http://photosbycherie.net/) JPM Construction offers complete support for designing, building, and renovating homes in Atherton, Menlo Park, Portola Valley, and surrounding mid-peninsula areas. With a focus on high-quality craftsmanship and professionalism, our clients can expect premium end-to-end service. The promise of JPM is unparalleled quality both on-site and off, where we value communication and attention to detail at every step. Onsite, we work closely with our own tradesmen, subcontractors, and other vendors to bring the highest standards to construction quality and job site safety. Off site, our management team is always ready to communicate with you about your project. The result is a beautiful, lasting home and seamless experience for you. With varying and coordinated patterns and shades of pink, this ultra-feminine bedroom is the perfect refuge for a petite princess. The unique bunk bed offers plenty of storage space for toys and collections while its large size fills the volume of a 12-foot vaulted ceiling, creating a more intimate ambiance. A nature theme flows throughout the room; crisp white paint emphasizes stunning architectural details of the arched window. Traditional two-storey exterior in Other with mixed siding. This is an example of a mid-sized traditional dining room in Other with pink walls, light hardwood floors and no fireplace. Inspiration for a large transitional open plan dining in Madrid with light hardwood floors, no fireplace and beige walls. Inspiration for a contemporary bathroom in Milan with an undermount sink, open cabinets, beige cabinets, a drop-in tub, a curbless shower, a one-piece toilet, beige tile and beige walls. Design ideas for an eclectic living room in Stockholm.